Although campus life is both interesting and lots of fun, I find volunteering outside campus a great way to get to know the Irish society, the locals way of life, and to give something back to the community I now live in. 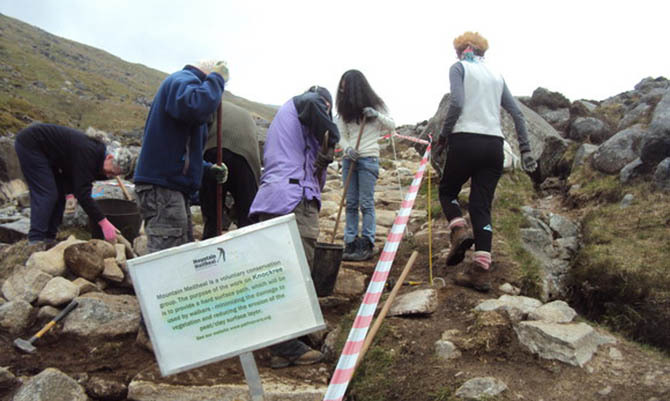 The first volunteering experience I had in Ireland was with Mountain Meitheal, a group that undertakes projects to protect and conserve mountain and forest areas around the country. We repair mountain paths and bridges, and build shelters in the forest for people getting lost or simply needing a place to rest. If you have ever done a bit of mountain walking in Glendalough, you are very likely to have walked on one of the paths I participated in repairing! Volunteers in Mountain Meitheal are mostly Irish men and women and they come from all walks of life but, there are also a few international people in the team, such as myself. 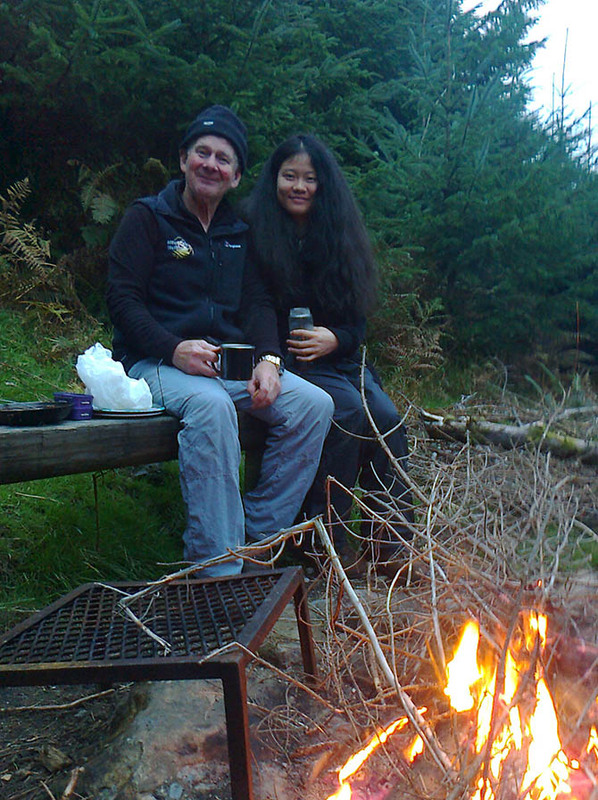 By volunteering together in the mountain, I have not only enjoyed the beautiful scenery of the Irish landscape, but also met some fun, caring, and responsible Irish locals and developed a strong friendship with them. They show me around Dublin during the weekends, teach me all sorts of local knowledge, introduce me to culture and traditions, and offer practical advice on living in Dublin and travelling around Ireland. One of the volunteers even invited me to his home for Christmas dinner with his entire family! Recently, I’ve taken up another voluntary position – working as a sound engineer for the radio programme Hello China at Dublin City FM. As I am a student in Interactive Digital Media and audio technology is one of my favourite courses, I gladly applied for this position when I spotted the recruitment post. The job gives me a chance to work using a recording console and practice my skills in audio editing. I’ve also met many interesting people, including the shows weekly guests. Apart from having fun and learning new skills, what I love the most about these volunteering experiences is the opportunity they provide for me to gain a deeper insight into the local community and society, and to get to know all sorts of people from different walks of life. Volunteering is a great way to get the full local experience, make great friends, give back to society and acquire a sense of belonging in your new home. I would strongly encourage any international student to join a voluntary organisation within their community. Lovely Web page, Continue the fantastic job. Many thanks!